But this sport has not only achieved its good reputation thanks to its great players, it has also achieved it due to the infinity of physical and psychological benefits that its practice contributes. Training on a regular basis improves physical fitness, develops muscles, attention capacity, motor coordination and even encourages socialization. Parents know all these benefits but wonder what age is best for children who enjoy this sport to begin practicing it. As in most sports, there is no exact age at which to start tennis. 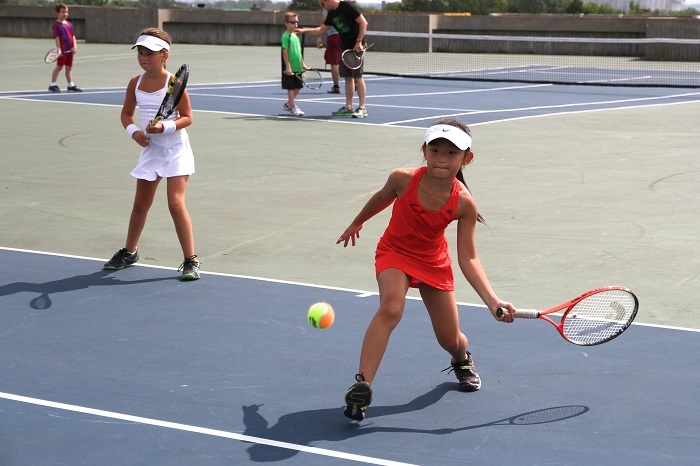 Whether or not a child is prepared to receive tennis lessons depends more on their skills, abilities, and abilities than on their age. Many children at 4 years of age already have a fairly advanced motor coordination capacity that allows them to start playing tennis, but it is necessary to keep in mind that their attention span is still not very developed. At this age, constant distractions make tennis lessons a mere game with rackets and balls. In these classes, although they do not serve to perfect his technique, the little ones will be able to familiarize themselves with the material and with the basic ideas of the game. The best thing is that the child uses in his training rackets, nets and balls of mini tennis that adapt to his physical conditions. Most experts say that the best age to start practicing tennis in a more formal way reaches 5 or 6 years. By reaching these age children have already developed a lot of their psychomotor, coordination and attention, adapting much better to the demands of the game. This is the perfect age to let the children experience blows with the racket, balance the ball and come into contact with the most basic technique of play tennis. It is intended that the children will get used to the track, its dimensions, the handles and the weight of the rackets and balls. In addition, thanks to this sport, the younger ones will begin to strengthen their speed, their agility, and their reflexes, while toning all the muscles of their body. To avoid injuries and discomfort it is best to use junior tennis rackets from 5 to 12 years approximately. These racquets are more ergonomic and lightweight than those of adult and allow the child to make the movements and beatings in a more comfortable way. Whatever the age of the child, both parents and the training itself must be flexible and adapt to their desires and abilities, leaving aside any type of psychological pressure or physical overload. At that age parents, should simply aim for their child to have fun and start socializing outside the family environment.